Someone who is addicted to marijuana may be unable to stop using the drug without medical or professional intervention. The abuse of marijuana can lead to addiction and compulsive behavior in some cases, even for the self-reported occasional user. And it may be easier to become quickly dependent on marijuana today since the strains available are much more potent and contain significantly higher levels of THC than in the past. Twenty years ago, THC levels in marijuana were around 3.8%, but today they are as high as 50–80%. According to some reports, as many as 30% of marijuana users may have a marijuana use disorder. This includes becoming physically tolerant and, eventually, dependent on it. When someone becomes tolerant to the drug, it means they need more and more of it to feel the same effects that they once easily obtained with lower doses. Despite controversy over the addictive qualities of marijuana, most doctors agree that the drug can be addictive, its effects can be harmful, and its use should be discouraged and avoided. Marijuana abuse hotlines are one resource that provides information about marijuana and treatment options. Marijuana’s scientific name is Cannabis sativa, which is a type of hemp plant, the primary active compound of which is called cannabinoids. The most common method of use is smoking it, although it can be ingested in baked goods as well. This method can produce stronger and longer-lasting effects than when it is smoked. Other ways to use marijuana include vaporizing it or brewing it as a tea. Although marijuana is legal in certain states to treat the nausea or poor appetite associated with cancer treatment or AIDS, or to relieve the symptoms of glaucoma, this does not make it a safe substance for everyone. Just as with other prescription drugs, it should only be taken under the supervision and advice of a qualified physician. Most people who suffer from marijuana abuse can be treated in outpatient facilities, which involves attending regular group and individual therapy and medication management (when necessary) at a treatment facility and still being able to live at home. 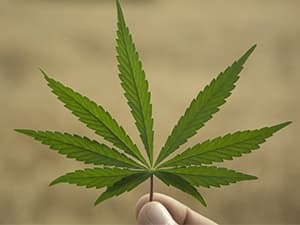 Cognitive behavioral therapy, contingency management, and motivational enhancement therapy have all proven extremely beneficial treatment techniques for treating marijuana addiction. Although no replacement therapies are currently available, recent discoveries show promise for the developments of medications that can be used to ease withdrawal symptoms, prevent relapse, and block the intoxicating effects of marijuana. When you are ready to begin treatment, you can start by talking to a trusted physician or mental health professional and asking for treatment recommendations. You may also call a substance abuse hotline for more information about your options. What is the typical length of a marijuana treatment program at your facility? What type of detox do you offer (medically assisted, etc.)? Do you provide medical supervision and medication management? Is your clinical staff licensed and trained in addiction treatment? Deficits in intelligence and memory. Fatal pneumonia, especially in AIDS patients. Marijuana abuse hotlines are excellent sources of information for anyone who feels the need to know more about the long- and short-term risks of marijuana use, symptoms and signs of addiction, options for treatment and the whereabouts of local centers that can provide inpatient or outpatient options, including luxury and private centers. Volkow, N.D., Baler, R.D., Compton, W.M., & Weiss, S.R.B. (2014). Adverse Health Effects of Marijuana Use. New England Journal of Medicine, 370(23), 2219–2227. National Institute on Drug Abuse. (2018). Is marijuana addictive? Jafari, S. & Tang, T. (2016). Diagnosis and Treatment of Marijuana Dependence. BC Medical Journal, 58(6), 315–317.